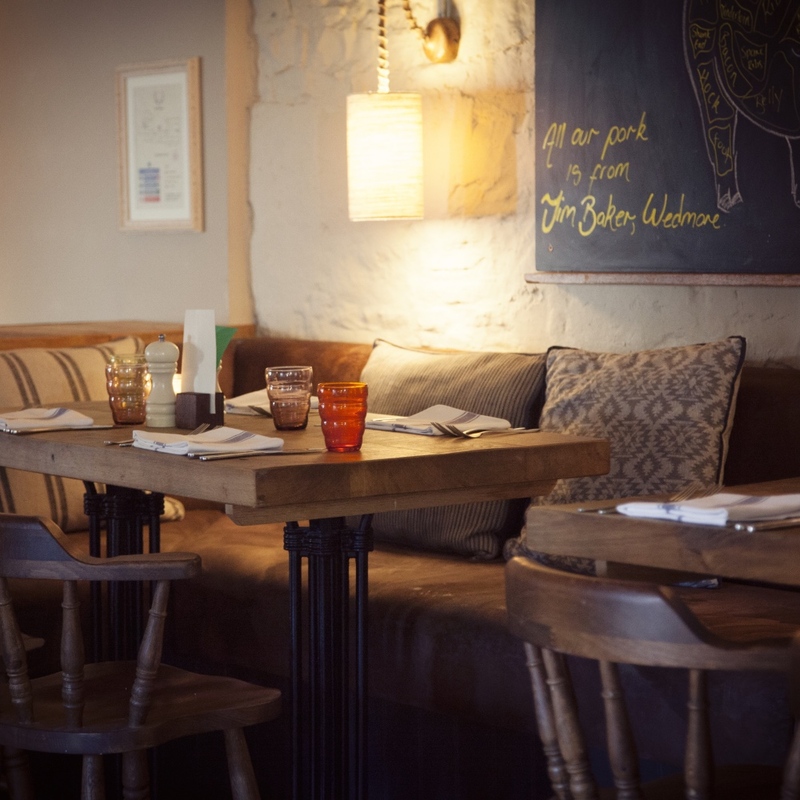 Airy open plan with all the ingredients of rustic chic – stripped floorboards, wooden tables and mismatched chairs, old leather sofa, wood-burning stoves and chalkboards on the walls – the former 16th century coaching inn The White Hart in historic Somerton’s market square is a good place to hang out. Eat, drink, lounge around and then eat and drink some more, and stay over if you please. 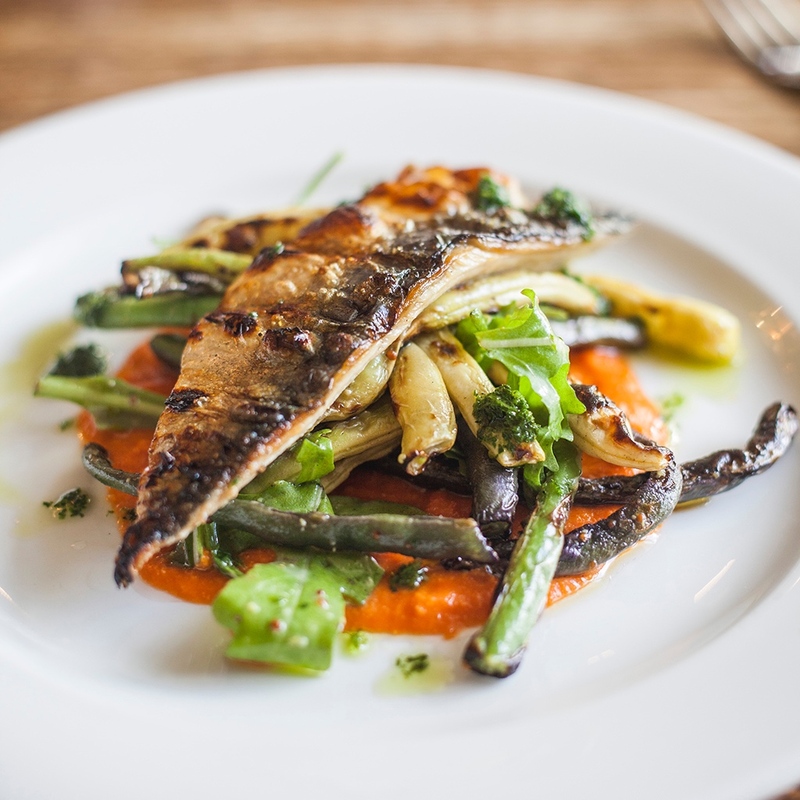 Tom Blake (former head chef of River Cottage) leads the kitchen team with head chef Ashley Brill, cooking up fresh, local produce into upmarket pub grub throughout the day – breakfast, lunches (weekday and Sunday), late afternoon and dinner. Bread, cakes and ice-cream are all made in house. Kids can eat cut down versions off the main menu or choose something from their own (note: this is a chicken nugget-free zone). English beers and ciders at the bar. 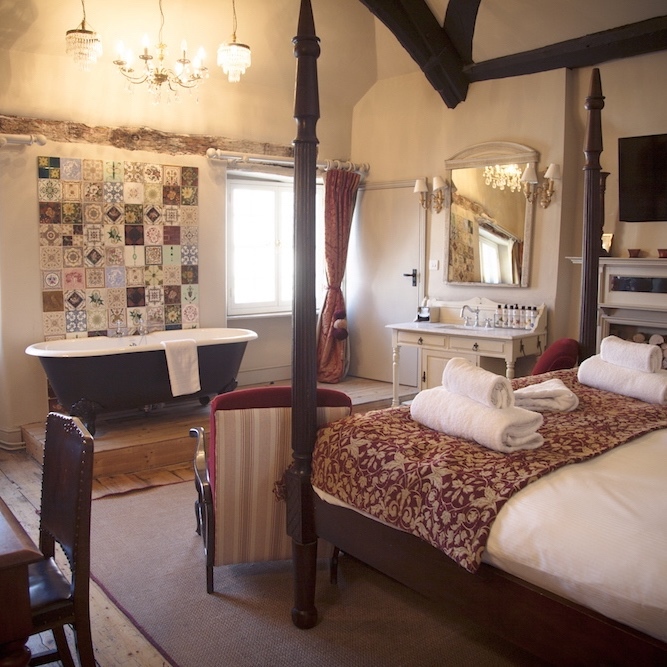 Upstairs there are eight quirky, boutique en-suite bedrooms, three overlooking the town’s old market square and 13th century church. Think crisp white Egyptian linen on huge super comfy beds, eclectic furnishings – antique trunks, 4-posters – as well as smart TVs/wi-fi. Some of the bathrooms have roll top, claw foot baths or walk-in double showers; all have luxe towels and handmade natural Bramley toiletries. 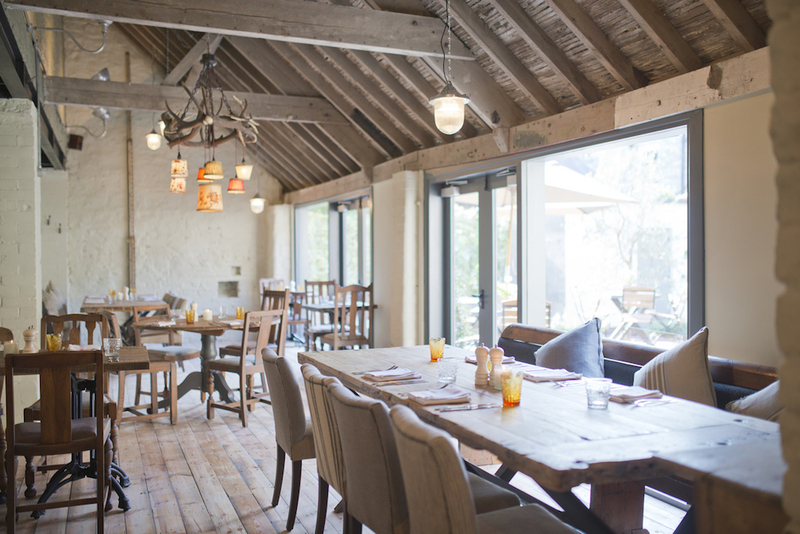 You can enjoy a lie in here – breakfasts are served until a very civilised 11am. Sunny day? Head outside to the tables and chairs in the sun-trap courtyard and gardens. The sleepy ancient Saxon town of Somerton itself is a pretty place to stroll, with small independent shops and galleries, and the likes of Glastonbury and country walks galore nearby.